Epic Games is expanding the affiliate program that began with Fortnite to apply to every single game on the Epic Games store. 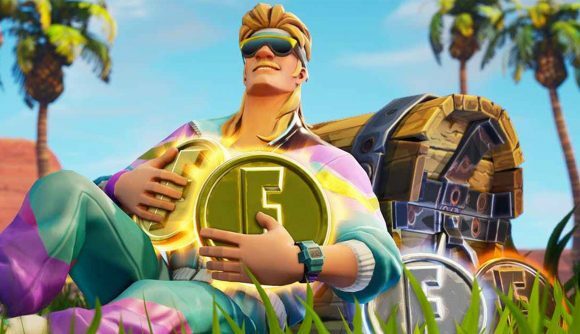 Support-a-Creator, a scheme which originally enabled Fortnite content creators to profit from their fans’ purchases, will now be rolled out across the studio’s entire platform. That response initially meant that Support-a-Creator became a permanent feature back in December, and its ongoing success means that the scheme is now expanding beyond Fortnite. Dingmon says that “all active creators in the program are [now] able to earn community support from any games on the Epic Games store,” allowing content creators from across the industry to benefit from their fans’ ongoing engagement with a particular title. Hypothetically, to become a creator, you’d need at least 1,000 followers on any major social network. If accepted, you’d get custom links to use whenever you create content relating to a particular title. If someone were to use that link to buy a game on the Epic Games Store, you’d receive a cut of the sale thanks to Epic. You can check out Epic’s full explanation in the tweet below. For the most part, I’d imagine Fortnite will continue to drive the bulk of the rewards via Support-a-Creator, but with major titles like Metro Exodus and The Division 2 heading to the store in the coming weeks and months, that could be set to change relatively soon.